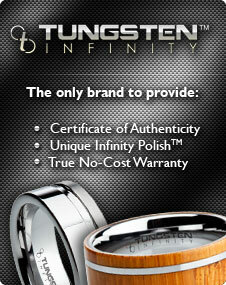 Free Shipping on all of Men's Tungsten Online orders! For wedding bands, rings, and styles that we offer. .
At Men's Tungsten Online we know that getting your tungsten ring as soon as possible is very important to you. It's also very important to us. Men's Tungsten Online ships packages Monday through Friday and will even ship on Saturdays if needed. We have made every effort to ensure that rings are shipped in a fast and secure way that will be convenient to our customers. We DO SHIP to P.O. Boxes, APO, and military addresses along with any other address. We offer FREE USPS First Class shipping on ALL orders (offer valid for US customers only). *Orders placed after 12 PM MST are not guaranteed to ship the same day. **International customers are responsible for all International shipping charges. Please contact us here at 1-800-699-8076 with any shipping questions.